The Oak Lawn Committee, which offers City Hall its endorsement on real estate projects, has reached its existential crisis. The Oak Lawn Committee (OLC) has turned to landowners and developers for more than 30 years to help guide local redevelopment by supporting, or denying its support of, real estate projects large and small. Now, as long-standing leadership has stepped down, the group finds itself embroiled in a controversial decision to lend support (by the thinnest of margins) to a six-story apartment building by the developer Lincoln Property Company. Critics argue that it is a project with little, if any, neighborhood enthusiasm outside those poised for financial gain. They worry about the density it would bring with it. And they worry about the organization’s future as an advocate for the neighborhood. Others call those concerns preposterous. It is a bit ironic that this controversy has bubbled up over Lincoln Property. After all, without the company’s past decisions, there may not even be an Oak Lawn Committee. In 1931, “Kiss Me Again” was the first movie shown at the Melrose Theater, which was located at 3415 Oak Lawn Avenue near Lemmon Avenue. After a major renovation in 1947, the 900-seat theater was renamed The Esquire. As you can imagine, it became hard to fill a 900-seat theater in the multiplex era of the 1970s. The Esquire showed its last movies in April 1982. Two months later, then-owner Lincoln Property sold the theater’s signage, presaging its demolition. Lincoln tried to buy surrounding parcels of land while protests from preservationists raged. This all delayed the theater’s demise until a hasty evening in 1985. 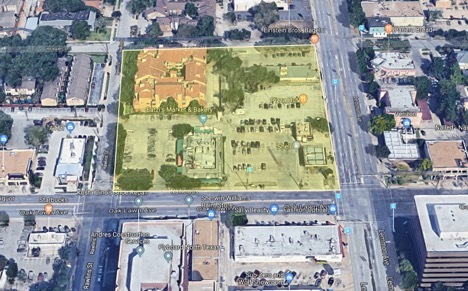 Now more than 30 years later, that prime block on Oak Lawn and Lemmon remains wounded, empty concrete, punctuated by Eatzi’s, Pizza Hut, and a Shell gas station. Many of the preservationists battling Lincoln began the OLC, then called the Oak Lawn Forum. The abrupt demolition of the Esquire was their triggering event. The result was the 86-page Oak Lawn Plan, a loose governing document for development in the neighborhood authored by a cross-section of Dallas’ most forward-thinking architects, developers, urban planners, attorneys and government officials. Architect Bud Oglesby, West Village Developer Neal Sleeper, Jackson Walker attorney Susan Mead, and current council member Adam Medrano’s uncle Ricardo are all listed in the plan. The plan’s goal was to spur the ordinance that would create a planned development district, known in city parlance as PD-193. 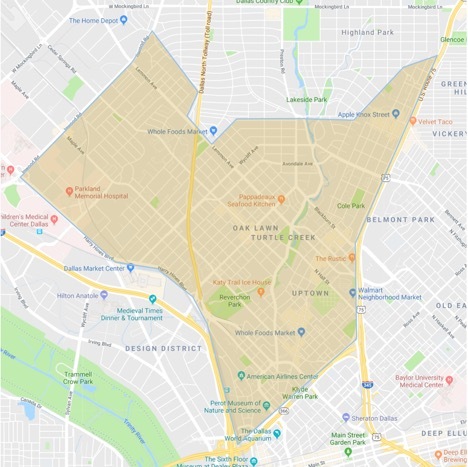 It would straddle City Council districts 2 and 14, beginning at the northern edge of the West End and extending into Uptown, Oak Lawn, Knox, and part of the Medical District. The combination of the Oak Lawn Plan, PD-193, and the Oak Lawn Committee created a system where developers, landowners, and homeowners would first seek neighborhood support for a zoning change or amendment before attempting approval from the City Plan Commission and City Council. OLC support isn’t legally binding. Think of it more as an endorsement—“we like this and we hope you do too”— although that’s not to say it doesn’t have clout at City Hall. Three decades after its creation, this system continues to give the neighborhood a heads-up and a potent voice to manage development inside its boundaries. Having watched them in action, I believe every neighborhood in the city needs one. Here’s why. 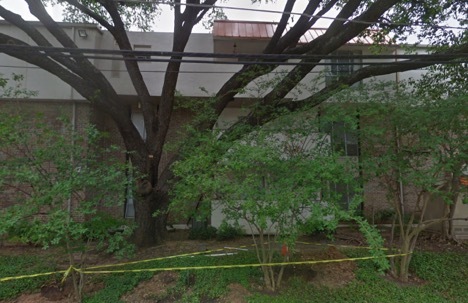 Other Dallas neighborhoods lack the neighborhood layer of an OLC. Local representatives can better hammer out any compromises than city government, whose priorities may be less in tune with an area’s specific desires. If a contentious project is proposed, neighborhoods are a step behind, having not vetted it before it reaches City Hall. A bucolic Oak Lawn Avenue, as imagined by the Oak Lawn Committee. The plan was written to be forward-thinking. It assumed and anticipated redevelopment and urban growth. Uptown’s explosive change is just one example of the OLC enabling growth. The Oak Lawn Plan stressed that the health of the neighborhood comes from a diversity of commercial spaces, housing and incomes. Since 1980, the city of Dallas has added more than 400,000 residents. This building cycle has put extreme pressure on neighborhoods as all-luxury, all-the-time apartment projects continue to tear up blocks of lower density housing—the type of housing that offers affordability while contributing to neighborhood livability. 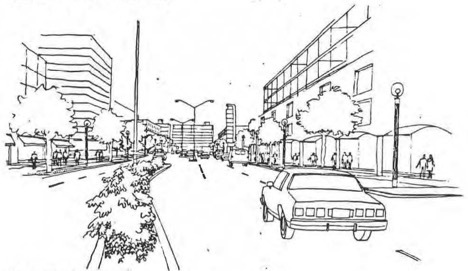 If anything, the plan’s cautions regarding over-development are more germane than outdated. I like local interests influencing their neighborhood’s look, feel, and future. Who wouldn’t? But the group’s authority only goes so far. They can endorse projects or not, but developers can still build their project “by-right,” meaning the landowner hadn’t needed a change or adjustment under existing city code. No one really has input when a project is by-right. You can’t legislate against ugly. But the OLC is not perfect. Some think the Toll Brothers’ coming high-rise at Congress and Welborn was a mistake. And many may not like it, but here’s the thing. The OLC didn’t have the ammunition to fight folks’ chief complaint: the project’s height. The land had been zoned MF-3 decades before the OLC or the Oak Lawn Plan. MF-3 allows for unlimited height (subject to Federal Aviation Administration approval). There was nothing the OLC nor the city could do about how high the company wanted to build. Had the city tried to downzone the parcel, they’d likely have been sued and obviously, the OLC has no legislative powers. They worked the best deal they could. Toll Brothers agreed to OLC requests, which included pulling the building away as much as possible from its neighbors, that the streetscape was pleasant, that the parking was underground or shielded, and the delivery was off-street. None of these things would have been required had Toll Brothers built a by-right high-rise. While I was with them on Toll Brothers, I view one of their most recently supported projects to be an ironic gaffe. 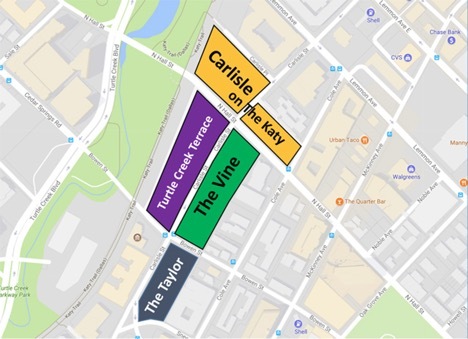 The same Lincoln Property that demolished the Esquire theater and spurred the creation of the OLC won slim approval from the group in February to tear down Turtle Creek Terrace at Carlisle and Hall streets to construct the Lincoln Katy Trail apartments. Former council member Angela Hunt represented Lincoln. That approval came down to strategy and exposed the vulnerability of the OLC. The project is double the current allowable height (six stories instead of three) and would increase the number of units from 115 to more than 300. The city will need to up-zone the property to allow the expansion; critics worry that this would allow other developers to flood the neighborhood with denser luxury properties, pushing affordable units ever closer to extinction. The best way to grasp Lincoln’s project is to recall Toll Brothers. Their MF-3 zoning gave them a large box that the OLC could negotiate how to fill. Lincoln had a smaller box of 36 feet that the OLC gave support to massively overflow. Lincoln had met with the OLC multiple times for over a year; each time support was withheld. Minor tweaks were performed until September’s OLC meeting. Not getting support, Lincoln went away again. They returned in January 2018 with the same plan, but again lacked the votes needed for OLC support. In February, they returned once more for another vote and won its support by a narrow margin of two votes. They banged on the door until they were let in. So what happened between September and January? New OLC officers were voted in and long-time president Brenda Marks stepped down. Marks remains a strong opponent of the Lincoln project, seeing it as a first domino that will lead to a rush to demolish other low-density complexes. Being present at the January meeting, Marks was able to counter-balance newly appointed OLC Vice President Leland Burk’s uncomfortably vocal support. Exxir Capital’s neighboring Carlisle on the Katy Trail hasn’t repaired fire damage from August 2017. Why repair what you intend to tear down? In February, Marks was out of town, and without another strong voice to oppose the project (and Burk running roughshod over members), the vote to support Lincoln was approved by two votes—until it was only one vote. One of the “yes” voters had been exposed as having a conflict of interest (after vocal denials) and his vote was voided. Of the four OLC officers, Burk was the only one to vote in favor of the Lincoln project. None of the OLC members I have spoken with since the vote can remember a project passing by so slim a margin. Burk says he has no connection with Lincoln, but his outsized support for the project is viewed by some with suspicion. (Nobody would comment on the record.) Before the vote, he attended a Lincoln meeting with the Turtle Creek Terrace owners and appeared to show support for Lincoln, which was strange due to the case being undecided at the OLC. Uncomfortable with his attendance being publicly revealed, he asked the publisher that his name be removed from that report. Asked for a response, Burk said the skepticism should be levied at those who raised concerns about the vote. Conversely, last year’s Toll Brothers’ case was supported by a greater margin than Lincoln. It still resulted in fractious battles within the OLC and surrounding neighborhood all the way to the bitter end. A more seasoned Marks, who was president of the OLC, let them have their say without concern of censuring. This is not to lay all the blame on Burk. Many voting in support also voiced their fatigue at seeing Lincoln yet again. Regardless of the group you’re in, being worn down into a decision is a sign that it’s time to resign. And in a backhanded way, Burk’s note and resulting tête-à-tête may partly explain the bumper crop of attendees at March’s OLC meeting. I know I was half-expecting a showdown. It seems a détente was brokered prior to the meeting that resulted in the idea of forming a committee to review bylaws with representatives selected by Burk and Rodriguez. Transitions are difficult. They’re made worse when a set of circumstances arise that seem tailor-made to take advantage of these periods of instability. In my opinion, the OLC will find credibility elusive if they try to deny support for the future super-size apartment projects set to come their way in the area between Uptown and West Village. That’s a shame. Of course, support from the OLC isn’t everything. The City Plan Commission and the full council will still get their say before the Lincoln Katy Trail becomes reality. Perhaps their overriding question should be whether they believe Burk’s opinion that “its benefits to the city block and neighborhood far outweighed the concerns of the opposition.” Opposition includes neighboring properties not looking to sell, the Friends of the Katy Trail, and across-the-creek neighbor Ross Perot Jr.’s Hillwood. Should the city not approve the project, the OLC can hang their hat on the city’s decision when voting on high-density projects in the future. But if it does provide the up-zone, those who voted to deny support for Lincoln’s project are worried about the power of the group’s future say in controlling density in the ever-growing neighborhood. As for past president Marks, she was fêted at a breakfast in her honor on Wednesday morning in the Flag Room at City Hall, a commendation for her service to Oak Lawn from Councilman Philip Kingston.